Those beercans will be escorted by some Fighter jets so, the purpose is not to jam B-52's but the fighters. true, but then the russkies most prolly just lob BVRs form Mig-31s if things get hot. Werewolf wrote: Send Su-34 and couple of Su-24 all equiped with ECM systems and block their communication as soon as they leave British airspace and fly into international airspace. Demorilize those jokers in advance. B-52 comes with its own ECM and ECCM equipment too, you know. I wonder who exactly will be jamming who? 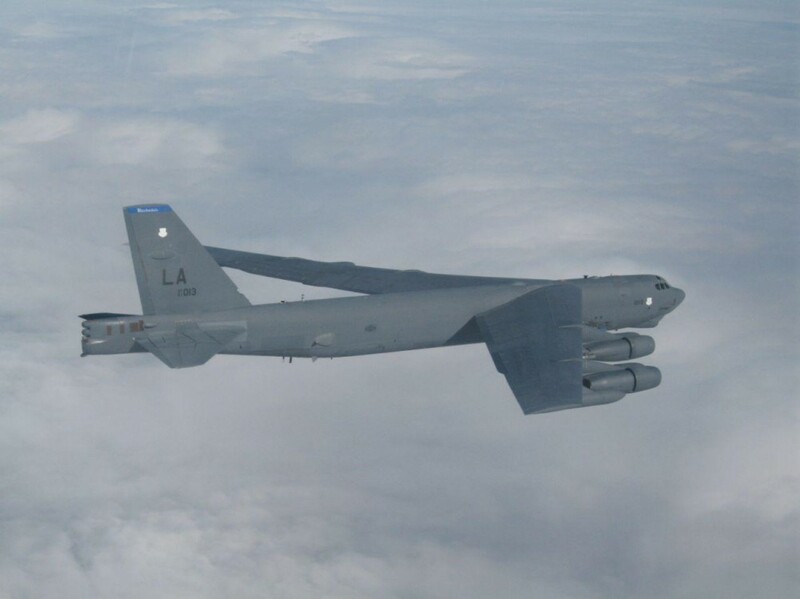 The US Air Force will consolidate its B-1 bomber fleets and Long Range Strike-Bombers under the unified command of the US Air Force Global Strike Command, the US Air Force said in a statement. WASHINGTON (Sputnik) — The decision will move the B-1 bomber fleets and Long Range Strike-Bombers under the same command as the B-2 and B-52 bombers. “Consolidating all of our Air Force assets in this critical mission area under a single command will help provide a unified voice to maintain the high standards necessary in stewardship of our nation’s bomber forces,” Secretary of the Air Force Deborah Lee James said on Monday. Sixty-three bombers and 7,000 people will transfer from Air Combat Command to Global Strike Command by October 1, 2015. “Consolidating all conventional and nuclear capable bombers within the same command allows the Air Force to streamline the global strike and strategic deterrence missions, and create a lasting positive impact for the Air Force’s global strike capabilities,” US Air Force Chief of Staff General Mark Welsh III said. The US Air Force said in the statement the realignment will lead to better coordination in training, tactics, doctrine and aircraft modernization and acquisition. 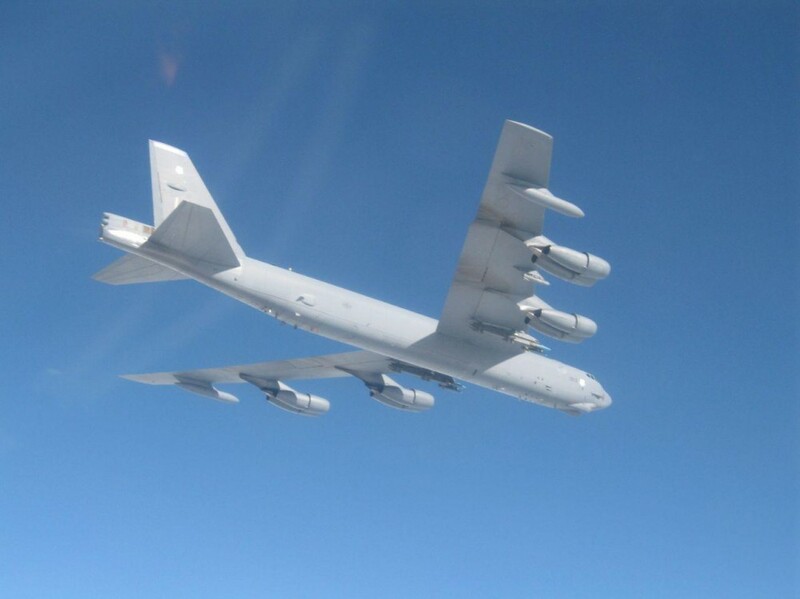 On April 18, the U.S. Air Force’s massive B-52 Stratofortresses launched their first strikes against the Islamic State. In the mission over Qayyarah, Iraq, the lumbering warplanes dropped GPS- or laser-guided bombs onto a nondescript set of buildings. But despite being icons of American military power, the bombers might not be the best tools for the job. When Boeing delivered the last B-52s more than a half century ago, the flying branch expected the planes would obliterate sprawling Soviet military bases and cities with nuclear bombs — not carry out pinprick strikes on terrorists in the Middle East. To be sure, the Pentagon has played up the decision to send the eight-engine heavy bombers back to war. The deployment to Al Udeid Air Base in Qatar marked the first time the aircraft — informally nicknamed the Big Ugly Fat Fucker, or BUFF — had flown out of a base in the Middle East in more than 25 years. In continuous service since 1955 and repeatedly upgraded, a single B-52 can lug 35 tons of bombs and missiles. While the plane can fly nearly 9,000 miles with a full load of fuel, aerial tankers can keep the BUFF airborne as long as the crew can hold out. The planes replaced B-1 bombers that had been flying over Iraq and Syria since August 2014. According to the Air Force, these “Bones” had flown only seven percent of the missions by manned aircraft since the bombing campaign started, but had lobbed nearly 40 percent of the weapons. But none of this really explains whether sending the BUFFs — or the “Bones” beforehand— was a practical move in a fight against small groups of militants, with few heavy weapons, who favor civilian style vehicles for transportation. When the BUFFs touched down in Qatar, the Air Force already had F-15E Strike Eagle and F-16C Viper fighter bombers, F-22 Raptor stealth fighters, A-10 Warthog ground attackers and drones in the region. The U.S. Navy and Marine Corps had F/A-18 Hornets and AV-8 Harrier jump jets flying from aircraft carriers and land bases. Coalition partners France and the United Kingdom added even more planes to the mix. The vast majority of these planes can carry the same types of bombs the B-52 dumped on Qayyarah. Of course, the bombers can stay airborne longer and carry more weapons on each flight, potentially taking out more targets on each outing. But that comes at a cost. The Air Force spends around $70,000 for every hour a B-52 is in the air. By comparison, the Bone costs the flying branch just over $61,000 per flying hour. At some $20,000 an hour, the smaller F-16s are significantly cheaper to put into combat. The venerable A-10 costs even less than that. We don’t know if the bomber went on to hit any other targets. But Air Force and Navy pictures routinely show their smaller jets carrying these many bombs — or more — on strikes in Iraq and Syria. And the cost figures take into account the relative costs to repair and fuel up the various planes. Unlike many of the Pentagon’s smaller jets, which are still rolling off the assembly line in many cases, the aging B-52 can be logistically demanding. When an A-10’s engine gave out over Iraq on April 9, 2015, the Warthog made an emergency landing at Al Asad Air Base. Five days later, a repair team — with the help of U.S. Marines at the base — had the jet ready to go again after installing an entirely new engine. Unlike an A-10, replacing any one of a B-52’s eight engines costs $1.5 million and lot more effort, the Air Force explained in a 2013 news release. And compared to more modern power plants, Pratt and Whitney’s Cold War-era TF-33 turbofan is a noisy, dirty, inefficient gas-guzzler. The BUFFs have encountered other problems after decades of use. In January 2014, a B-52H was totaled after old electrical systems caught fire in the cockpit. The Air Force decided it would be cheaper to pull another bomber out of the famous Boneyard at Davis-Monthan Air Force Base in Arizona than fix the burned out plane. The flying branch estimated it would cost some $13 million to put the previously retired “Ghost Rider” back into action. Even upgrading the BUFFs to keep them up to date is becoming increasingly difficult, as the B-52’s existing spinning launchers inside their bays were built to only carry nuclear bombs and cruise missiles. To carry conventional ordnance, the bombers must use cumbersome racks and external pylons. 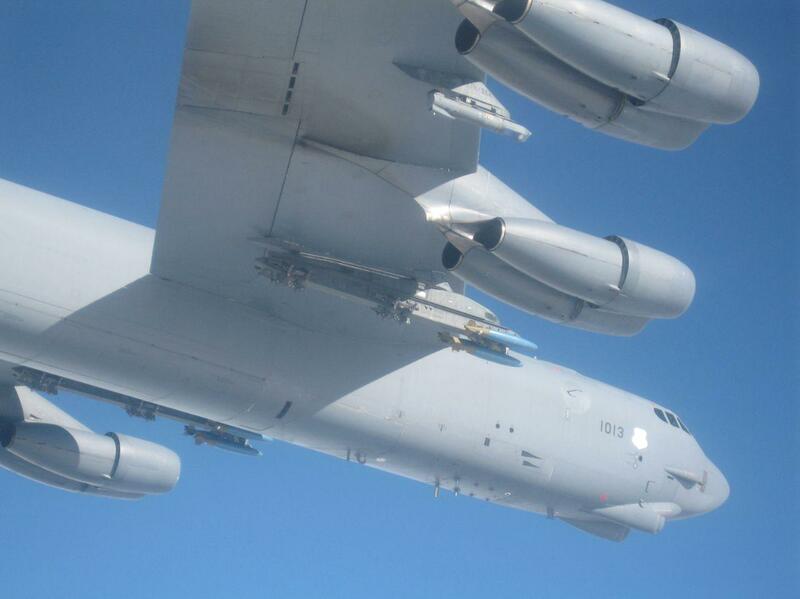 The Air Force has been testing a modification to allow the bombers to carry more and newer types of smart bombs and missiles with an internal rotary launcher. But in recent tests, Air Force weaponeers encountered problems getting the launchers to work with the necessary software. “Imagine if the avionics computer, which is required to operate the weapons system, shuts down just prior to a bomb run?” an official Air Force article asked. Because this is exactly what happened. Technicians had to install multiple hardware and software fixes so the BUFF’s crew could “talk” to the its new internal weapon racks without crashing the whole system. With this Internal Weapons Bay Upgrade still in development, the bombers in Qatar are making do with the older setups. All of this could help explain why the Air Force was initially reticent to send the bombers to the Middle East. In January, after the B-1s departed, the Air Force insisted it had no plans to deploy the BUFFs to fight Islamic State. None of this is to say the B-52 isn’t still relevant or decidedly impressive, especially with the age of the basic design. The airframe is extremely durable and can keep flying through the mid-2040s. Instantly recognizable, the bombers have a psychological effect on enemy forces that many newer planes simply don’t possess. Besides, new motors and other modifications could breath extra life and more efficiency into the old BUFFs. In February, the Pentagon announced it was looking into building an “arsenal plane” that could spit out dozens of long-range missiles or other weapons to get past ever improving surface to air missiles and air defense radars. Depending on the exact requirements, the B-52 could be a perfect platform for that plan. With the help of new anti-ship missiles, the BUFFs could help offset the potential threat of hostile warships in the Persian Gulf or the South China Sea. Since at least April 2014, the Air Force has been looking at turning some of its remaining H-model bombers back into maritime patrol planes — a role older G variants previously filled during the later stages of the Cold War. “I could be wrong as I’m not down range planning,” Laslie added during his online discussion of the bomber’s merits. But deterring China, Russia and Iran correspond with the B-52’s strengths. Flying around Iraq picking off individual buildings and militants riding around in pickup trucks does not. And it’s far from economical. The Air Force "ordered a safety stand-down of the B-1B Lancer fleet June 7. During the safety investigation process following an emergency landing of a B-1B in Midland, Texas, an issue with ejection seat components was discovered that necessitated the stand-down"
Air Force Global Strike Command on Thursday ordered a safety stand-down of its B-1B Lancer bombers after discovering a problem with its ejection seats. In a release Friday morning, Global Strike said the problem with B-1 ejection seat components was discovered as part of a safety investigation board looking into the May 1 emergency landing of a B-1B at Midland International Air and Space Port in Texas. Photos of the incident showed that the bomber, based at Dyess Air Force Base in Texas, blew at least one of its four cockpit escape hatches, but the ejection seat did not deploy. This raised questions as to whether the ejection seat failed, which the Air Force would not comment on last month. 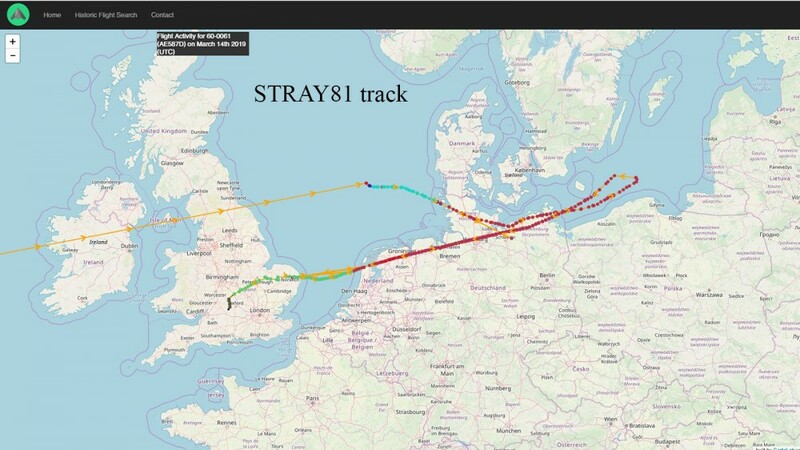 Interesting photographs (taken by Russian fighters on March 20, 2019) of intercepted strategic bomber Boeing B-52H Stratofortress (US Air Force number 61-0013, short side number "1013", code "LA", callsign AERO32) from the 20th Bomber Squadron of the 2nd Bomber Wing of the United States Air Force flying over the Baltic Sea near the Kaliningrad Region, rising from the British Fairford airbase. 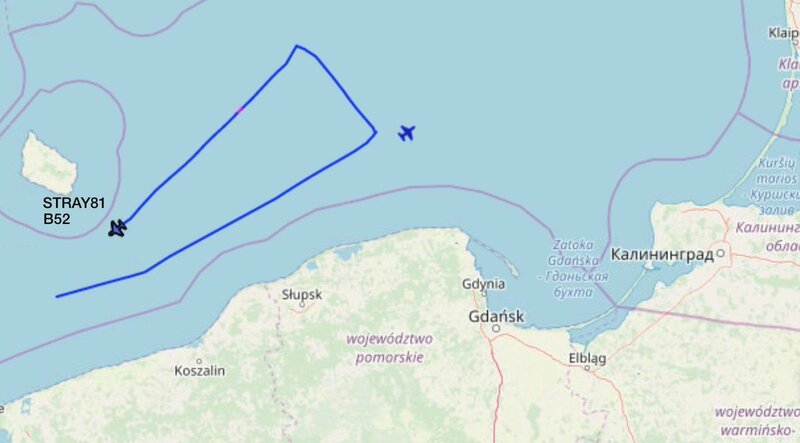 From the chart it looks like she cruised over the Atlantic from her home, probably Minot AB, went for a sightseeing tour of the Baltic and then back to RAF Fairford for tea and cakes in the Officers Mess there comparing their Flanker photos. There are apparently around 6 B-52 on detachment there atm. On April 12, 2019, the US Department of Defense issued a $ 14.3143 billion contract to Boeing Corporation for upgrading the B-1B and B-52N strategic bomber weapons systems. The contract is for ten years - until April 11, 2029. Details of the planned modernization are not disclosed. The report says that the contract under the so-called flexible scheme Acquisition & Sustainment Tool (F2AST) is aimed at "increasing combat capabilities, combat stability, improving technical support and increasing combat readiness" (increase lethality, enhance survivability, improve supportability, and increase responsiveness). Of this amount, $ 1.215 million is expected to be spent already in the 2019 fiscal year. Recall that now in the US Air Force there are 62 strategic bomber Rockwell B-1B and 58 strategic bomber Boeing B-52N.